A classic vehicle is one that truly stands the test of time, remaining desirable over the years as other cars depreciate. Such it is with our selection of classic Ferraris for sale. We also offer classic cars for sale from Porsche, Alfa Romeo, and other automakers. Why Buy a Classic Ferrari Model? If you’re looking at our selection of classic Ferrari models for sale, it’s likely that you have the spirit of a collector. Maybe you appreciate craftsmanship that stands the test of time, with design that ages like a fine wine, or maybe you recognize that heart-pounding performance is timeless. Regardless, these are the rare vehicles that become more desirable over time, whether due to limited production, legendary performance, head-turning style — or, in most cases, all of the above. Interested? 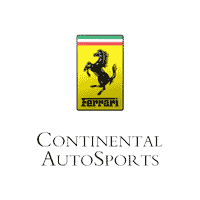 Take a close look at the classic Ferraris for sale in our inventory — or the performance vehicles from Porsche, Alfa Romeo, and others — then contact us or stop in at Continental Ferrari to take a closer look. Whether you’re coming from Chicago or St. Louis, we’re certain you’ll be captivated with what we have available.